The vision for Hartford City Wesleyan Church was initially formed during a tent meeting at the old county fairground (site of the old Blackford County Hospital). Soon after, 20 charter members came together on September 21, 1886 to formally organize as The Wesleyan Methodist Church. In 1968, a merger between the Wesleyan Methodist and Pilgrim Holiness denominations brought about a newly unified denomination: The Wesleyan Church. As a result, the local congregation became known as Hartford City Wesleyan Church. As approximately 130 years have passed by, The Wesleyan Methodist Church has seen God work through the leadership of 37 different pastors, from E.T. Spohn (the founding pastor) to the current Senior Pastor, Rev. Tom Parsons. In 2012, the church moved to its current location at 1301 S Walnut Street in Hartford City. As Hartford City Wesleyan looks to the future, the church believes their mission is to glorify God and tell others of the Good News about His Son, Jesus Christ. Comprised of all age groups, they seek to worship the Lord through contemporary and traditional music, as well as relevant messages that can be understood and applied by all, whether they are stepping foot into church for the first time ever or have been "churched" all their life. 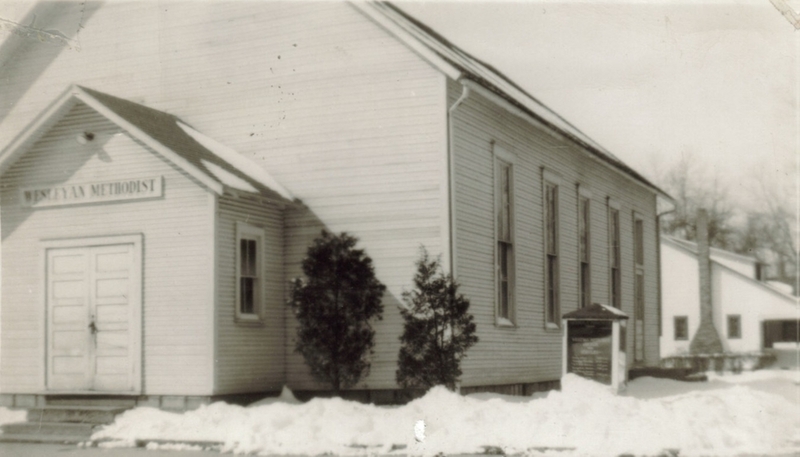 Click below to read the detailed history of the Hartford City Wesleyan Church, from 1886 to its publishing in 2015.